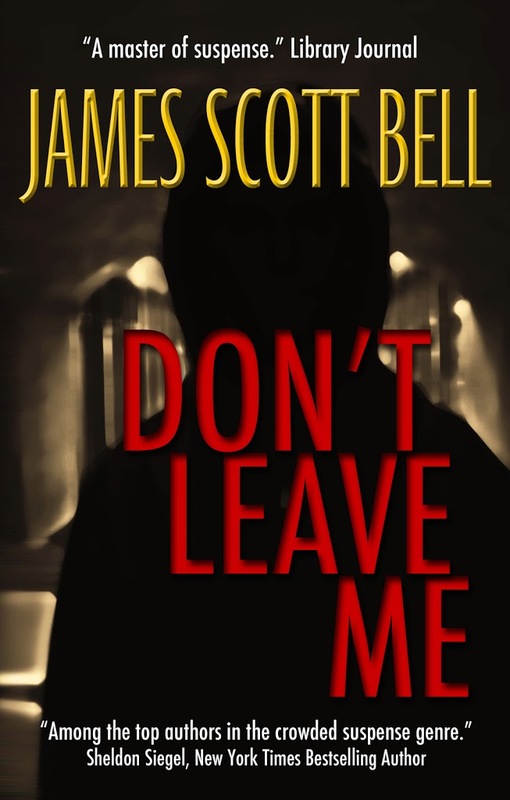 This entry was posted in Don't Leave Me, emotional connection, James Scott Bell, thrillers by Joe Moore. Bookmark the permalink. Very deep Jim. Great connection to a character with an event from your own life. I often have emotional contacts with my characters. Sometimes I think that is what created them in the first place, an attempt to personify an emotion, specifically a fear. My book FAITHFUL WARRIOR is about a former Marine Sniper turned Pastor. In one scene I had to really build the emotional connection with him and his wife and toddler son so the reader would feel the familial love bond. I poured my own feelings toward my wife and kids into the scene to get the audience have no doubt of the depths of that love. When the climax of the scene hit, a drive by shooting on his house, I actually had to stop typing until the tears quit. I had wrapped myself so tightly in the character’s viewpoint that I felt the scene rather than just wrote it. That’s a very helpful idea for putting the emotion into your work–you made it work even for this blog post. I’m certainly looking forward to reading the book. Thanks! Great post about getting the emotional connection to your characters. As you know yourself, you can be sure you’ve done a good job when you find yourself tearing up after a particularly poignant scene. Imagine how it will affect the reader. I’ve downloaded the book, and will get to it as soon as I get past my current deadline. Can’t wait. Fear is emotional currency – when a writer feels his/her character’s emotions viscerally it comes through on the page, whether it be fear, anger, love, desire, etc. I love this exercise you outline – tapping into primal childhood fears sets the stage for believable characters. Like Basil, I had a similar experience when writing the climax to my first novel. I realized sharing that grief, that terror, that love I felt for my fallen character Meg was real emotional currency and I had to share. Great post as always, Jim, and congrats on your new book. That’s a great help. I’m having trouble making that emotional connection with my new manuscript. The problem is that my protagonist has no family and almost no connections, which is important to my plot. I’ll have to dig deep into my experience and find this guy’s emotional trigger. Great post, Jim. Thanks. Thanks for sharing it. I have bought your book, and looking forward to read it. Great post, Jim. I like how you break this down & apply it to a plot you developed. I do a slightly different method that I call “loading on the baggage.” I layer the characters with emotional baggage that would be relatable & compelling to most people, making sure there is conflict inherent to the plot. This emotional conflict within the character can be internal as well as external, so it might put them at odds with authorities for a good reason or gives them a flaw that could destroy them. 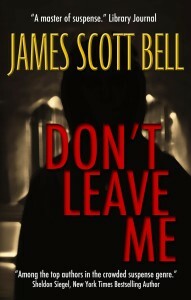 But when I write the scenes in the book, I use my personal life’s experiences to wring out the emotion. I do this in layers, making a first pass through the book as I’m writing it (like a first draft), but I go back to add more of whatever each scene is supposed to be about ( usually an emotional element). I totally agree that every book should have emotion at its core. It’s not about writing what you know. It’s about writing what you fear, or love, or makes you cry. That’s a good method, Jordan. It’s really on those next passes that we better see where the emotional moments are and what they truly can become. Part of the revision process. Heat those places up. Definitely. I find that as I write, I discover the REAL motivation of a character after I get mired in their lives. It’s like most people who keep personal stuff secret. It takes a bit of trust before they open up to you. Great post. I love your methods of making the book emotional. Usually I have to actively ramp up the emotion, but for the book I am currently working on it all came out naturally. I thought I was writing a simple book about zombies, but instead I find myself grappling with death, trust, and friendship. “Affect the reader emotionally.” And in order to do that, you have to affect yourself first. Inspiring post. Should be must-read for all who aspire to write good fiction and some who already do who are starting to phone it in. If you don’t care about your characters, who will? Love the story about the man at the grocery. Isn’t it the best when a character just walks on stage like this? It’s gift. We go around with “What if?” in our minds, don’t we? It’s not a matter of where the ideas are, but which ones to keep! What a great post. Thanks for sharing, you’ve given me a lot to think about. Good stuff, Jim, as always. If you don’t care about your characters, no one else will. I just started reading THE HUNTER, Joe, the Richard Stark (aka Donald Westlake) novel that started the Parker series. Wow. I’ve seen some hard boiled eggs in fiction, but Parker is forty minutes. It’ll be interesting to see how this “care” package is developed by the author. Really interesting. Fantastic post, Jim! And an absolute must in fiction—something to tug at the heartstrings of the writer > the protagonist > the reader. Thank you for the inspiration! My MC is a cynical lawyer who sees it all as a game. She gets word that her favorite uncle has passed and left everything to her. “Everything” turns out to be an old RV, a strange practice with some dark secrets, and a Chihuahua. For her, it is a pilgrimmage back home to estranged family and a strange world. She has also never had a pet or a road rocket that wasn’t under lease to the firm. She believed in traveling light. And, then, of course, mayhem ensues. Oh yeah. It’s all about the ensuing mayhem. Thanks, Terri. Emotional characters are great. But how about a subject that is controversial to derive emotion? There are too many stories out there that are almost propaganda for pushing a phony belief out there (example US troops are “helping” Afghanistan and the alleged war on “Terror”). What interests me to read a novel is no different than what interests me in the world. I don’t follow MSM (main stream media) but instead do “alternative research”. Afghanistan, for example is ALL about opium and the heroin trade. It doesn’t take much research to figure that out. Thus a VERY interesting story would be about soldiers who did tours in Afghanistan and DID figure that out. And were told to SHUT UP–or else. Add that to the personal issues of a soldier as a character of a book. I’ve met a LOT of military people who have figured out they’ve been used to be the police for high think-tank (govt-private–it’s one and the same) goals such as removing govts they don’t want with ones they do (Iraq, Iran…central america…) and the ever popular BIG drug trade as I just mentioned. Central America had movies done. It takes guts to write about this stuff–but those stories are much more interesting than the shallower stories. Sure they can be entertaining and fun–but there are many stories that are kept hidden from the public–that need to be told. The movie Promised Land is a GREAT example of revealing a dangerous truth that’s being hidden–and that is Big Oil is pushing FRACKING as a great business idea. Except that it is permanently DESTROYING the water that people and nature drink from. it’s a crime, it’s just plain stupid and EVIL. There is NO excuse you can give your grand children when they ask YOU why you didn’t say or do anything when the oil companies destroyed the water! These kind of stories put FIRE in people’s bellys and in their stories. It puts emotion into the MEANING of the story. The movie Erin Brockovich was all about this. The Insider was too. All the Presidents Men. The China Syndrome. What happened to those writers?? Now we get “the hangover”. Anyhow this is an emotional appeal to ALL writers to write about something in the world that is affecting all of us–turn it into a story. Get us thinking about the story’s meaning. Before all the water is destroyed–and you WISH someone would have said something. BTW, I am fully aware of the Afghan situation and the fracking situation. Old news. What sold Erin Brockovich was not the crusading, it was the character and her tangled life as she tackled the bigger subject. Same with Silkwood, China Syndrome, all those. It was the connection with the character that sold the storyline, not the other way around. If you are passionate about it, then write it. If it is good, I will read it. If it is preachy, I will set it aside. Great post! I’ve never seen it articulated in this way before, but I know exactly what you mean. I’m beginning construction on a paranormal romance (she’s a gravity mage, he’s a chronomancer werewolf, and they live in Phoenix, Arizona), and I’m channeling all those tricky emotions from when I was dating my husband. I also use music as emotional shorthand. When I find a song that mirrors the emotional state of a character or a situation, I add it to my Spotify playlist. It’s a quick way to channel the emotions when it’s time to write. I definitely use music. Movie scores, for different moods. Great post Jim. I agree, there has to be an emotional element at play for the work to succeed. It’s a factor that can’t be overlooked by the writer. I tap into it by imagining someone close to me being in the situation I’m writing about. Yes, and being in the character, too. How would WE feel in that situation? Good job. Excellent advice and a great lead-up to your novel,Jim! I can’t wait to read it! Showing the character’s emotions and internal reactions is something I’m always reminding my novelist clients to do, for greater reader emotional investment and to bring the character alive on the page. Wow. Educational, informative, enthralling, and sentimental, and you even work in an extremely effective plug for your new book. You da man, Jim. If you ever want to hunt down those little monsters who terrified you to get your own back, let me know. Revenge is a dish best eaten cold.